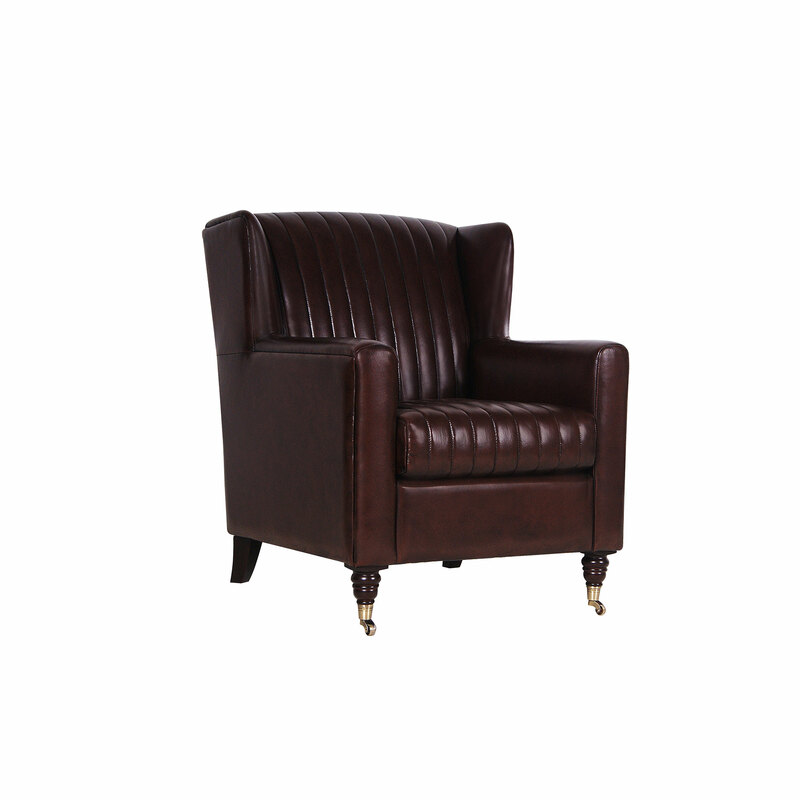 Take a step back in time with the retro styling of the Bugatti chair. This striking chair features a unique ribbed panel design on the back and seat cushion; which is reminiscent of classic, 1950s cars. 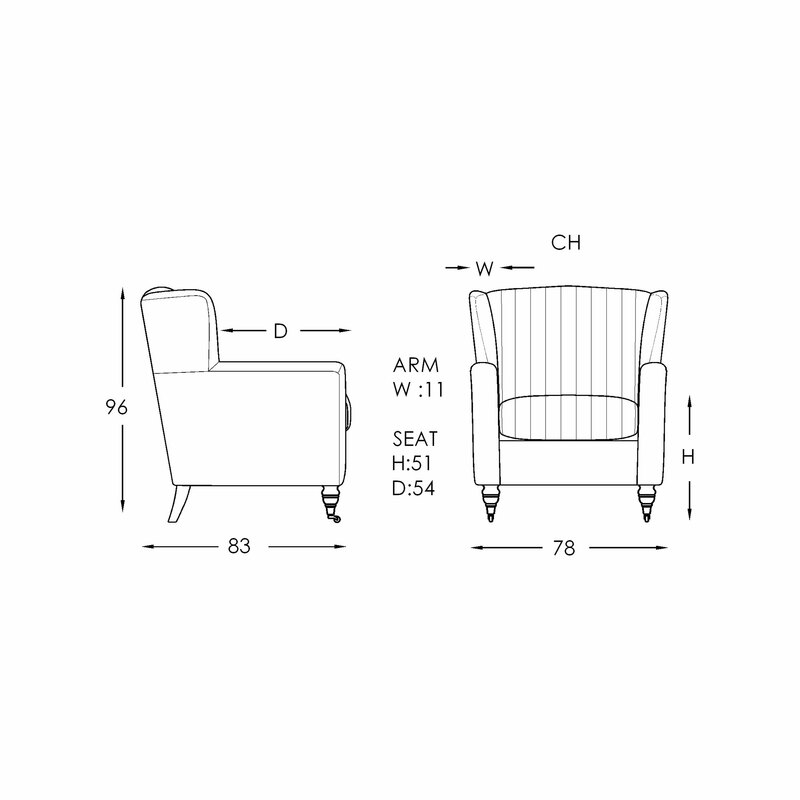 A squared-off wing back design, which flows down through to the slim, square arms, gives this chair a strong, masculine feel. This is seamlessly balanced with elegant turned-timber legs, and finished off with dainty metal castors. The Bugatti offers a harmonious balance between masculine and feminine styling. The Bugatti is designed in Australia, ensuring that the best aspects of Moran’s unique, luxury style are applied to new designs, staying relevant to local design influences and the modern Australian way of living. Bespoke manufacturing ensures each Moran piece made can achieve a luxurious level of comfort and attention to detailing, that often falls short with widely adopted mass production methods. The Bugatti chair features a kiln-dried, close-grain hardwood timber frame, providing the underlying quality framework needed for lasting structural integrity. Tempered Steel Sprung Structural Support ensures body correct support and the ultimate experience in long-lasting relaxation, while Spring Cell Seat Cushion Inserts add extra comfort and extend cushion performance, offering an additional layer of individualised support.